This belt is constructed with 1. 5 inch wide extra thick, premium, cotton web fabric. The clamp-on buckle is created with an antique Brass color finish. 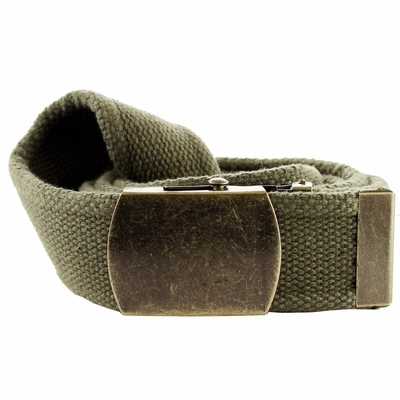 The end of the belt features a matching antique Brass Color metal end cap. The vintage style looks great with jeans, shorts, uniforms and more.